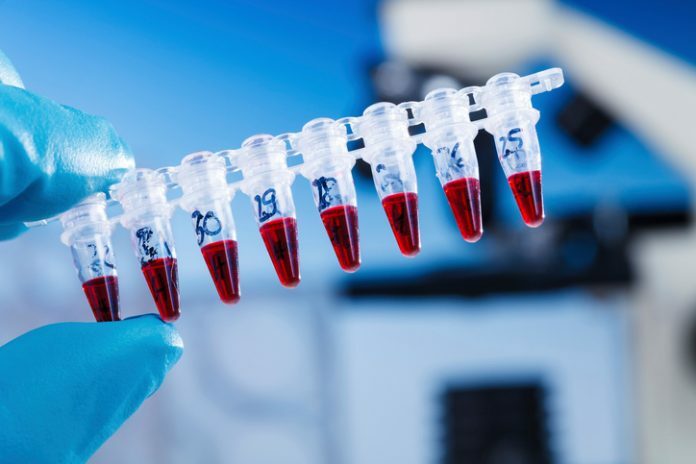 Scientists in Copenhagen have developed a new tool for diagnosing and monitoring a wide variety of cancers, which uses a malaria protein known rVAR2 to grab hold of and remove circulating tumor cells (CTCs) from blood samples. The researchers, headed by Mette Ø. Agerbæk, Ph.D., and Ali Salanti, Ph.D., at the University of Copenhagen’s department of immunology and microbiology, found that using the bead-bound malaria protein as a CTC capture method was highly specific for cancer cells and could also be used to isolate CTCs from a much broader range of cancers than existing, antibody-based approaches that target cancer cell surface protein markers such as epithelial cell adhesion molecule (EpCAM). The team suggests that the CTC capture technology could be developed into a diagnostic or screening tool for diagnosing cancer early in clinical settings. And by allowing scientists to derive new insights into the cellular characteristics of metastatic circulating cancer cells, the tool could ultimately enable the development of more effective anticancer treatments. Up to 90% of cancer-related deaths are associated with the metastatic spread of cancer cells from the original tumor site to new tissues and organs. To move from one site to another in the body, the metastasizing cancer cells are transported in the bloodstream. Studies have shown that monitoring levels of these blood-borne cancer cells can help to predict the outcome of patients with a wide range of different cancers, highlighting the potential to use blood as liquid biopsy system for diagnosis, monitoring treatment response, and potentially predicting relapse. A number of CTC isolation and detection platforms have been developed, but they are not without their drawbacks. Some separation techniques may capture other, noncancer cell types, such as peripheral blood mononuclear cells (PMBCs), or they may rely on cocktails of antibodies, which means that they can only be used for capturing specific types of tumor cells. The Copenhagen researchers had previously identified a modified form of the glycosaminoclygan (GAG) molecule, chondroitin sulfate (CS), known as oncofetal chondroitin sulfate (ofCS), which is expressed by cancer cells of both epithelial and mesenchymal origin. ofCS attaches to many different types of proteoglycans to generate chondroitin sulfate proteoglycans (CSPGs), which are often overexpressed in primary or metastatic tumors. “A single cancer cell may display different combinations of these ofCS proteoglycans and thereby ofCS serves as a more robust cancer biomarker as it is not restricted to the expression of a single protein,” the authors write. The team had also separately discovered that ofCS can be detected by a malarial protein known as VAR2CSA. In placental malaria, the parasite-infected blood cells stick to ofCS in the placenta, using VAR2CSA as an anchor. The researchers’ prior tests in a wide range of cell types and tissues had shown that while VAR2CSA (rVAR2) binds to more than 95% of cancer cell lines and tissues of mesenchymal, epithelial, and hematopoietic origin, it shows only minimal binding to normal cells or tissues. This highlighted the possibility of using the protein to find and bind cancer cells in blood. “As rVAR2 shows cancer-specific and origin-independent binding of ofCS both prior to and after the metastatic process, we hypothesized that rVAR2 could be a useful tool to broadly and efficiently capture rare cancer cells in complex blood samples,” the authors write. To investigate this possibility the team developed a CTC detection tool utilizing rVAR2-coated magnetic beads. Initial tests confirmed that the rVAR2 could capture both epithelial and mesenchymal cancer cells from a diverse range of clinical blood samples, even during epithelial-mesenchymal transition (EMT), a process during which the expression of traditional CTC markers such as EpCAM can be downregulated, which can make CTC isolation less effective using existing antibody-based methods. The team then tested just how few cells their new technique could detect, by spiking 5 mL samples of blood with just 100 prostate cancer cells. Impressively, the rVAR2-coated beads effectively captured 9/10 beads in the samples. Pushing the limits even further, the team demonstrated a capture rate of up to 76.7% when the 5 mL blood sample contained only six cancer cells, and 60% when the blood was spiked with just three cancer cells. “ … these results show that rVAR2-coated beads enable efficient isolation of cancer cells spiked into a complex blood sample, demonstrating the high sensitivity of the procedure,” the authors write. Moving on to clinically relevant tests, the team showed that the rVAR2-based beads could effectively isolate CTCs in blood samples from patients with pancreatic, hepatic, prostate, and lung cancers, and at different stages of disease. In head-to-head comparisons with the more commonly used EpCAM-targeting antibody-based bead, the ofCS-targeting VAR2-bead approach also captured much higher numbers of CTC, and with lower PBMC contamination. “… we showed that rVAR2 resulted in a higher CTC yield in blood samples from prostate, pancreatic, and lung cancer patients as compared to EpCAM-based isolation of patient-matched samples,” the team notes. Encouragingly, the rVAR2-coated beads were also capable of capturing CTCs from clinical samples at early stages of disease, with analyses suggesting that the method could feasibly be used to help stage low-grade disease, and make prognostic predictions. “Our method has enabled us to detect cancer at stages one, two, three, and four,” comments Dr. Salanti. “Based on the number of circulating tumor cells we find in someone's blood, we'll be able to determine whether it's a relatively aggressive cancer or not so then to adjust the treatment accordingly.” Dr. Salanti does acknowledge that a much larger clinical study will be needed before correlations to tumor staging can be made. As well as monitoring patients during treatment, the technique could also be used to detect whether any tumor pockets might remain after surgery. “… the increased sensitivity could make the rVAR2-based method suitable for risk monitoring in patients suffering from cancer types with reportedly low CTC levels as well as detection of minimal residual disease after therapy or surgical resection of a tumor,” the researchers comment.